Kawasaki India already has a range of off-road motorcycles on offer in India. The Japanese brand has launched two new off-road motorcycles for the Indian market. 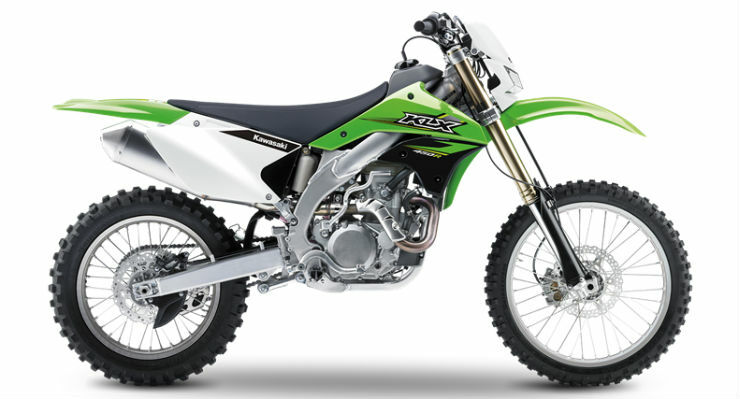 The brand has launched KX450R priced at Rs. 7.97 lakh and the KLX 450R priced at Rs. 8.49 lakh. Both the motorcycles are not road legal and no additional taxes or charges are levied on the final price of the bikes. Kawasaki imports both the motorcycles as Completely Built Units (CBUs). The Kawasaki KX450F is powered by a 450cc, fuel injected water cooled engine. The motorcycle is claimed to be the lightest in the segment. Kawasaki says that the weight has been reduced by putting lightweight engine and chassis. It weighs only 108 kg. The KX450F comes with a range of accessories to help riders during off-road. There are 49mm Showa separate function forks at the front, At the rear, a Uni-Track monoshock is at work. The motorcycle gets braking power from 270mm petal disc at front and a 240 mm petal disc at the rear. The KX450F also gets launch control, which is an added feature on a dirt bike. The KLX450R is the most expensive dirt bike in the Kawasaki India line-up. The motorcycle is also powered by the same 449cc, liquid-cooled, 4-stroke engine. It gets a carbureted fuel supply. The dirt bike gets more many more features to aid off-road and rough riding. There is an AOS type 48mm front suspension that is fully adjustable. At the rear, there is a Uni-Track monoshock. The front disc brake is 250mm while the rear gets 240mm. It is also heavier and weighs 126 kg on the scale.